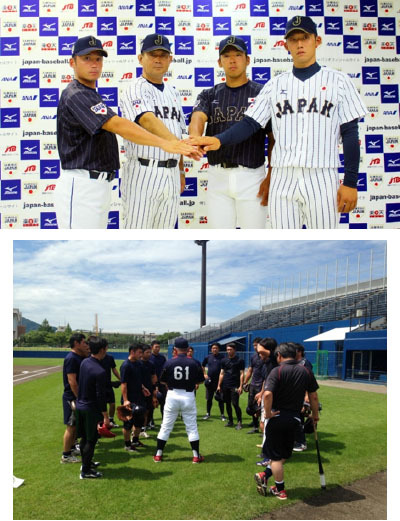 Team Japan ended the 5-day training session with one win, one loss and two draws in the exhibition games including a 4-4 ties against minor team of NPB’s Yokohama DeNA BayStars. At the press conference in Yokosuka on August 6, Manager Hirotami Kojima (50) and his team members made it known that they are fired up to win. As against all amateur players of Industrial League for Team Japan, Team Korea is composed of all professional players and Team Chinese Taipei comprises mostly professionals. Second training session is scheduled for September 12-17 including an exhibition game against minor team of NPB’s Chiba Lotte Marines on September 13. The 17th Asian Games in Incheon open on September 21, 2014.